Built in 1911, Wesley United Methodist Church was struck by a tornado that took out its pipe organ, damaged much of the chancel/stage area and the rest of the sanctuary space. 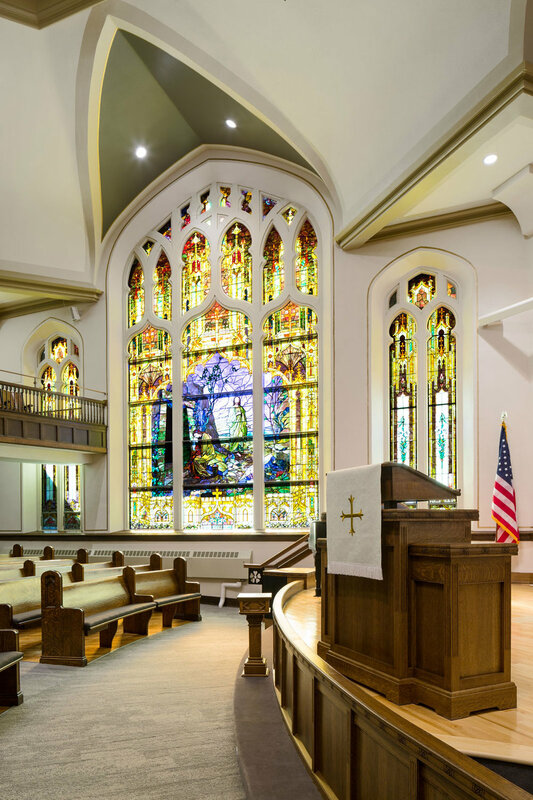 The Church took the opportunity to enhance the space for future generations while preserving its history. 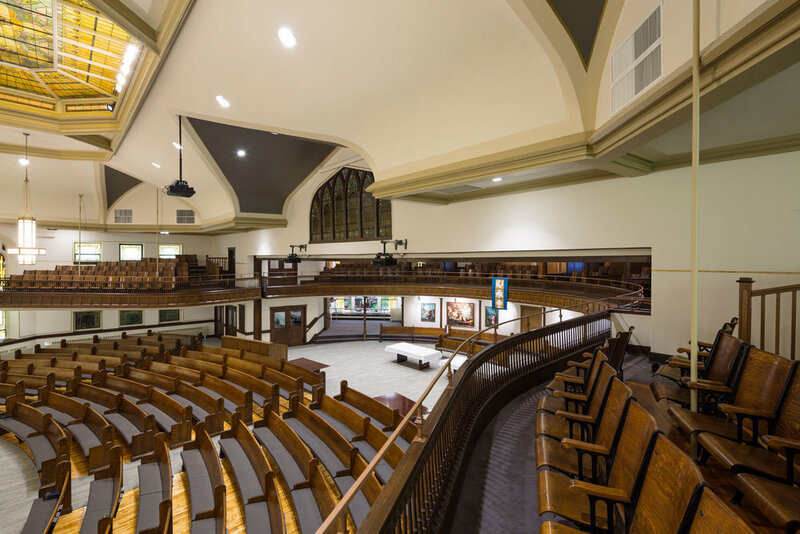 The challenge was incorporating two different styles of worship needs into one historic space while improving acoustics, lighting, technology, and ADA requirements. Wanting the beauty of the existing woodwork, architectural features, and prominent stained glass to remain the central focus, a neutral understated pallet was selected. 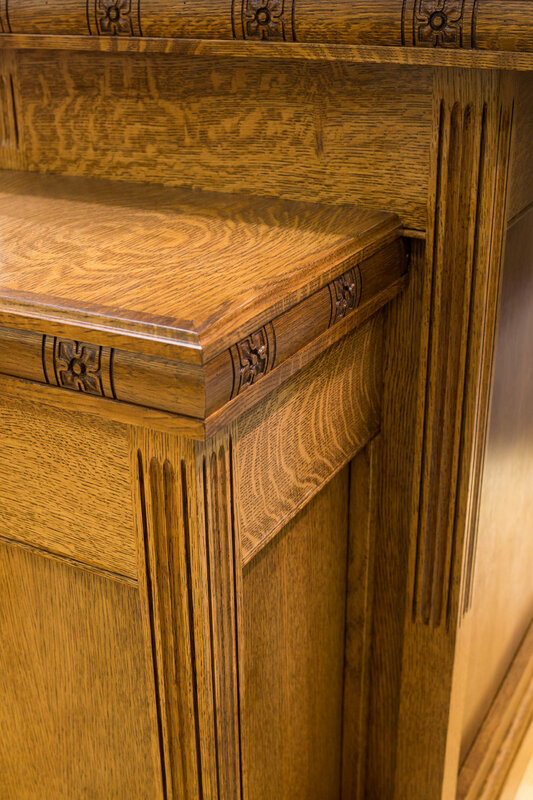 Custom-liturgical furniture was designed to seamlessly match the existing woodwork. Light neutral paint colors were selected for the entire building to compliment the retained gold paint detail. Mid-tone ceiling paint colors created a more striking backdrop to the existing architectural elements. Movable screens disguise music equipment used in the contemporary service, reducing set up time between services. To brighten the space, existing lighting was converted to LED and new light fixtures were added to emphasize architectural features. Using soft neutral tones and diligently matching or complimenting existing elements successfully created a worship space both worship styles could embrace. 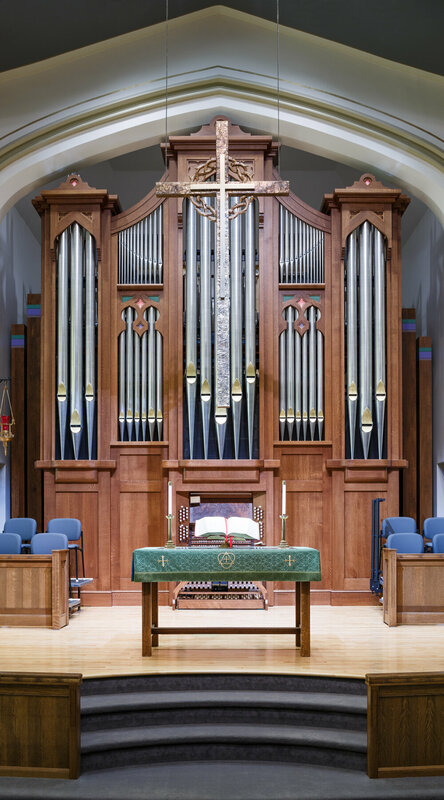 The pipe organ is scheduled for installation in 2019.